Montserrat Caballe sings Semiramide at the Aix en Provence Festival in 1980. There are many fine singers who sound lovely, but there’s no more old-school charisma. No more artists schooled by conductors who can trace their lineage back to Verdi, Puccini and Richard Strauss. There are no more artists who can thrill just by stepping on the stage. There’s great music left, exciting texts made important by fine artists. But of frisson and the visceral thrills, no. Caballe was the last. Don’t believe me? I haven’t been to the opera in New York, much less Europe or South America, in many years. How often today do audiences beat the walls in frenzy, shred programs and drop them like confetti on to the curtain calls? Not very often from what I see at the Met in HD (God bless them). No, it wasn’t ridiculous opera queen fandom. It was an immediate thrill given by the performances. You were in the arena. Artists took risks. They sang a tightrope. Does s/he have one more note? How long can s/he hold that pianissimo? Will that trill ever end (and should it?)? Can the baritone’s gonads wither with one look, a look that can be read from the rafters? Maybe. I’m not around to see it these days. Somehow, I expect not. 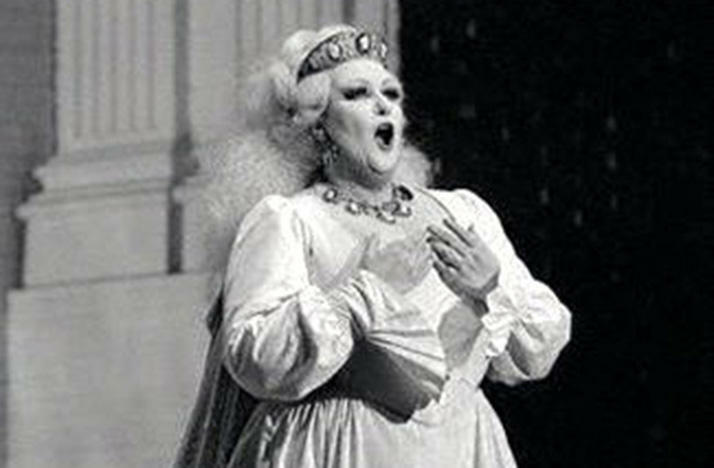 Caballe – like Maria Callas, Renata Scotto, Joan Sutherland, Luciano Pavarotti, Sherrill Milnes, Jose Carreras and Placido Domingo – was a sacred monster. She had a magnificent, God-given sound. Nobody could spin out a long phrase like Caballe. Did you ever drip honey off a stick very slowly into your tea? That’s what Caballe’s voice was like. Caballe sang the title role of Gaetano Donizetti’s Lucrezia Borgia. She was a late substitute for Marilyn Horne. Caballe in 1965 was a well-regarded singer in Europe with a nice career – nothing special. Then this happened. The audience went nuts. The soprano had been singing everything but nothing that really showed her technique. Donizetti in Carnegie Hall was a perfect match. After that moment, it was game on. Caballe sang everything. She claimed Strauss as her favorite composer and Salome as her favorite role. Her recording of the mad Judean princess is glorious. Her glory was in Rossini, Bellini, Donizetti, Verdi. There you hear the long phrases, the incomparable breath control and oh, the beauty of that sound. Even in standing room, you got ravished. She canceled a lot. She was known to have health problems. You bought a ticket to a Caballe performance, and you took your chances she would show up. Often she didn’t. But when she did, you realized there’s no way you paid enough to be there. I saw her several times in my youth. Aida at the Met on March 10, 1976 (I looked it up). Domingo canceled, and his understudy wasn’t much. Horne and Cornell MacNeil were in the cast. They were on. So was Caballe, but in a different way. She wandered around the stage and sang whatever she wanted. She produced magnificent sounds, few words and clearly did not know Aida. It didn’t matter. Horne as the haughty Amneris got the giggles, but the public roared. Nobody felt cheated – excerpt maybe Verdi. That was the thing with Caballe. She sang what she wanted to sing the way she wanted to sing it. She knew she could sound more beautiful than everyone else in the world, and she sang to maximize that sound. People should not copy her. As if. Fast-forward to Carnegie Hall around 1982. Again, the cheap seats. Caballe’s printed recital program was filled with Bach, Scarlatti, Strauss and Debussy. She opened with a few of the cherished Arie Antiche. I think it was "Caro Mio Ben." Whatever it was, there was the warm, melting sound again. I remember saying to my knees that were tucked up to my chin in those awful seats that I had never heard anything so beautiful. The rest of the recital was great. 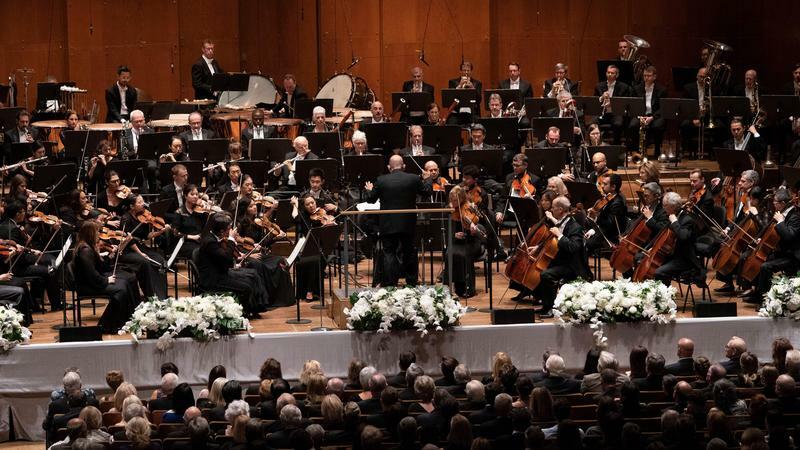 Caballe ignored the printed program and sang Puccini, Donizetti, Granados and, at one point for the Strauss section announced, "We keep the same!" My date had to pay for my tux rental since I was still selling records at Barnes & Noble. But there we were, sitting with the Rockefellers. With all the "haut monde" glitter and glamour that one finds almost nowhere else these days, the Metropolitan Opera opened its 102nd season with a performance of Puccini's "Tosca" starring Montserrat Caballe and Luciano Pavarotti, with Carlo Felice Cillario conducting. It was an event as much as a performance, and the stuff of the legend of which the Met is made. For weeks now, the most important question on the opera scene has been, "Will Caballe actually sing?" It is a measure of her stature as "the last of the prima donnas," as Caballe has been called, that this engagement could so dominate everybody's attention. It remains to be said that yes, she did sing, and gloriously. The secondary question has been, "How will Pavarotti sound?" The tenor's appearances at the Met have grown increasingly rare in recent seasons, and some reports from abroad have not been particularly flattering. Yet the tenor sounded as magnificent as ever Monday night, with a performance of "E lucevan le stelle" as fine as this reviewer has ever heard, or is likely to. It came close to eclipsing Caballe's "Vissi d'arte," which is some feat. Together, in Act III especially, Caballe and Pavarotti delivered the kind of singing that gives one some idea of what the Golden Age was all about. Electrifying, incandescent, heart-on-the-sleeve singing, with nothing held back. Here’s what I remember: Caballe and Pavarotti stood together on the stage, ignoring the sets, ignoring the stairs, and they sang and sang and sang and never again will be as thrilling. Luciano Pavarotti would have turned 80 on October 12 of this year. He died in 2007. The Metropolitan Opera's Live in HD presentations, beamed into cinemas worldwide, begins a new season Saturday, Oct. 6. Anna Netrebko stars in the title role of Giuseppe Verdi's Aida. Mary Rousculp Hoffman became program director of WOSU-FM in 1966. By the time she retired over 20 years later, Mary had interviewed many of the world's finest classical artists during their visits to Central Ohio. The Mary Hoffman Archive includes interviews with Thomas Schippers, Maria Callas and Vladimir Horowitz. In May 1972, Joan Sutherland was in Columbus for a concert at Mershon Auditorium. He was one of the few artists to make me cry when he sang the Verdi Requiem.